Find a used van from renowned Japanese automotive manufacturer Mitsubishi for less when you come to SUV & 4x4. 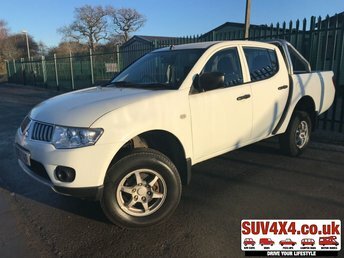 Whether you're in the market for a double cab pick-up truck like the Mitsubishi L200, capable of holding its own over rough terrain, or a long wheelbase chiller van, we'll be able to help. 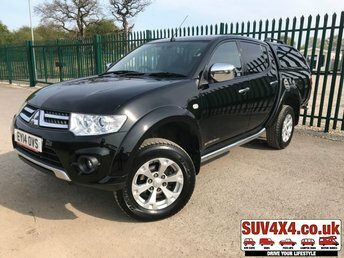 As a leading supplier of quality used Mitsubishi vans in Wetherby, SUV & 4x4 will work with you to find a commercial vehicle that represents the perfect fit for your company's needs. Pay a visit to our showroom and you're guaranteed a warm welcome, plus our friendly and knowledgeable team will be on hand to provide assistance and guidance when required. Start your search here on the website where you can browse all our available vehicles.